The Rebel Sweetheart. : Wordless Wednesday #119 | Still Feels like Christmas. Wordless Wednesday #119 | Still Feels like Christmas. I cant believe its already a month ago!!! Hopefully it'll still be going next Christmas! Christmas feels like so long ago now. Soon though, it will be back to feeling like it's just around the corner. Very nice. Hopefully it will last. The red is so pretty! My mom always loves having a Christmas Cactus. Really beautiful plant- it doesn't seem like a month ago already...geesh! Almost Valentines Day! I rarely see those beautiful poinsettias after Christmas. What a great gift. They are quite colorful. It is a beautiful poinsettia. It's been warm in tx the last several days. However, that is supposed to change in the next day or so. Thanks for hosting! Love that photo of that flower, too! Beautiful! 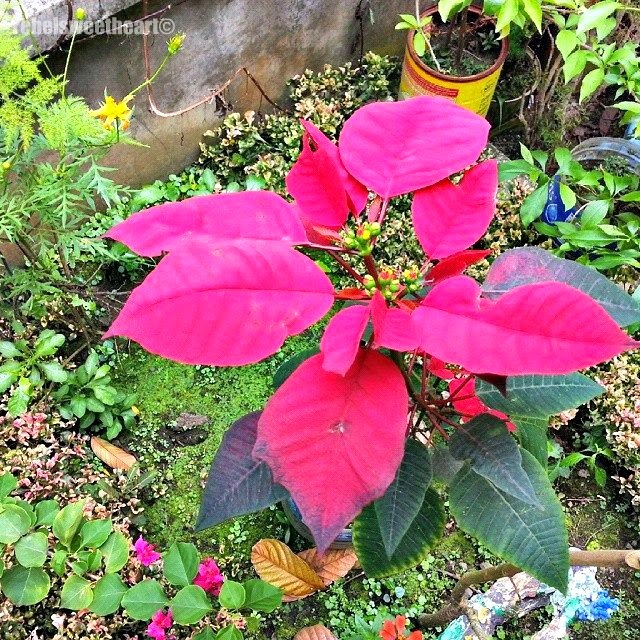 A Flower that will always bring back wonderful Christmas memories. A lot of great posts!